The Ebola epidemic served as a lesson to the international community. Just days after the all-clear was declared in West Africa, the Vaccine Alliance (Gavi) announced the signature of a partnership with the pharmaceutical laboratory Merck, to accelerate research into a vaccine against the virus. The Vaccine Alliance, which is largely funded by the governments of developed countries, foundations and the private sector, concluded a $5 million purchasing commitment with Merck. In return, the laboratory will provide 300,000 doses of the vaccine by May 2016 to deal with a potential resurgence of the epidemic, subject to the approval of the World Health Organisation (WHO). The American laboratory could then submit a marketing authorisation request by the end of 2017. The Ebola virus, or Ebola haemorrhagic fever, is a disease that affects Humans and primates, and is carried in the blood and bodily fluids of the infected animal. The ‘reservoir host’, where the virus survives between outbreaks among humans or primates, remains unknown, but is suspected to be a species of bat. It has not yet been proved whether or not contamination by air is possible in a natural environment. 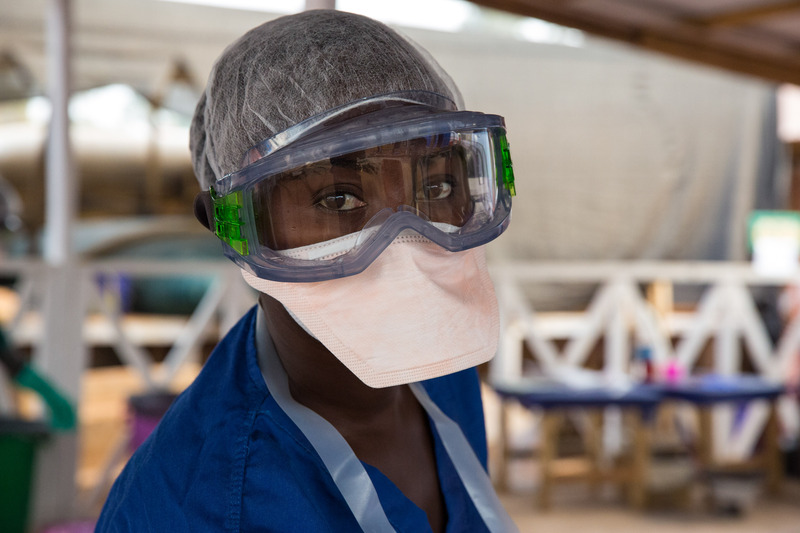 Between 50 and 90% of Ebola cases in humans are fatal. The incubation period generally lasts between eight and ten days, but can be anything from two to 21. No specific treatment for the virus currently exists, but experimental vaccines were tested during the recent epidemic in Liberia, one of the worst-affected countries. In two years, the official death toll from the outbreak reached 11,315 out of 28,637 reported cases across ten countries, including Spain and the United States. According to the WHO, this figure, which may be a significant under-estimate, makes the recent epidemic more deadly than all the previous outbreaks combines, since the virus was identified in Central Africa in 1976. The urgency to develop an Ebola vaccine is as pressing as ever, as the day after the WHO declared the epidemic over, a new case was confirmed in Sierra Leone on 15 January. The announcement of the Gavi-Merck partnership was welcomed by Doctors Without Borders (MSF). But the NGO will remain vigilant over the final price of the vaccine, which will be a determining factor in whether it is widely used in developing countries. “Given the public and philanthropic investments in the vaccine, we hope that Merck will buck the trend of the pharmaceutical companies and be as transparent as possible about contributions, the financing of R&D, development subsidies and the tariff structure of the rVSV-ZEBOV vaccine. Public donors and philanthropists should not pay twice for the research and the development of the vaccine,” he said. The Ebola epidemic shed light on the shortcomings of the system of research into the illnesses that affect the poor. In fact, the first steps towards creating an Ebola vaccine were carried out more than ten years ago. But epidemics have tended to affect only rural areas in developing countries and have always been contained, making the vaccine a low priority for the laboratories. As Bruno Rivalan from Global Health Advocate explained, Ebola is far from the only example of where financial interests have taken precedence over public health. “Tuberculosis is another example of the failures of this research model, which ignores the diseases of the poor. In 40 years, the laboratories have placed only two new molecules on the market. So the treatment of this illness, which is very common in developing countries, is not progressing, while multidrug-resistant strains of tuberculosis are beginning to appear,” he said. “The research and development model for diseases linked to poverty is completely broken, because it is linked to profits, and there is no specific incentive for research into diseases that affect the poor and developing countries,” Rivalan said. This lack of economic incentive (subsidies, innovation prizes, tax deductions, purchasing guarantees, etc.) will be partly addressed by the Gavi and Merck partnership on Ebola. More than €1 billion was pledged by member states and the European Commission to fight the Ebola crisis. The Council has appointed Humanitarian Aid Commissioner Christos Stylianides as the EU Ebola Coordinator. Mobile laboratories, humanitarian experts, and specialists in dangerous infectious diseases have been deployed to the region. The €280 million call for proposals, launched by Commission and the European pharmaceutical industry, is under the Innovative Medicines Initiative (IMI). €140 million will come from Horizon 2020, the EU's framework programme for research and innovation, and €140 million from the pharmaceutical companies which are members of the European Federation of Pharmaceutical Industries and Associations (EFPIA). The research will involve large-scale clinical trials of new vaccines in the Ebola-affected countries as well as the development of fast diagnostic tests and new approaches to manufacture and distribute vaccines.